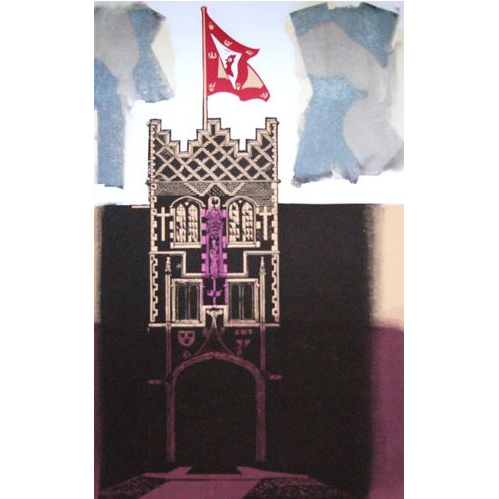 Editions Alecto commissioned Hoyle to produce ten prints in the Cambridge Series. 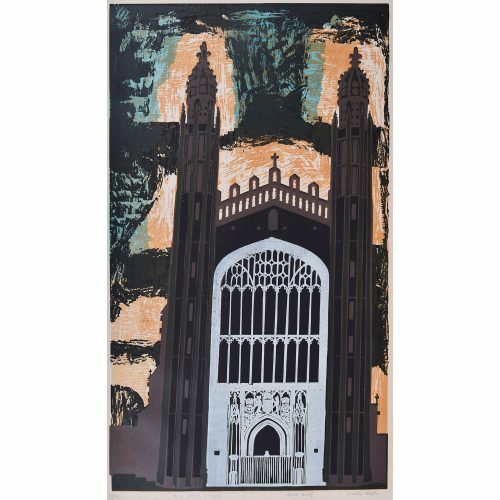 This is one of the ten prints from his Cambridge Series which he cut, proofed and printed by hand on handmade Japanese paper on an Albion Press at his studio in Great Sailing in Essex. 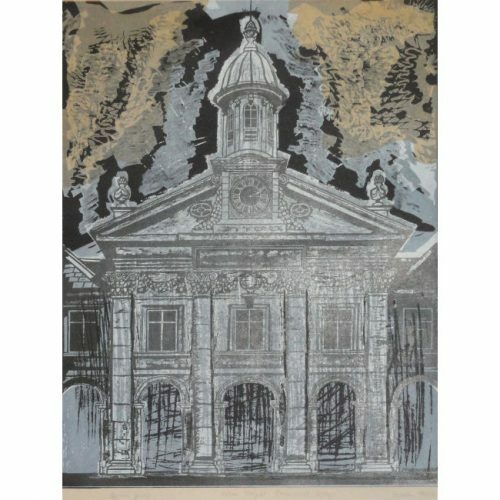 Hoyle trained at Beckenham School of Art and the Royal College of Art. 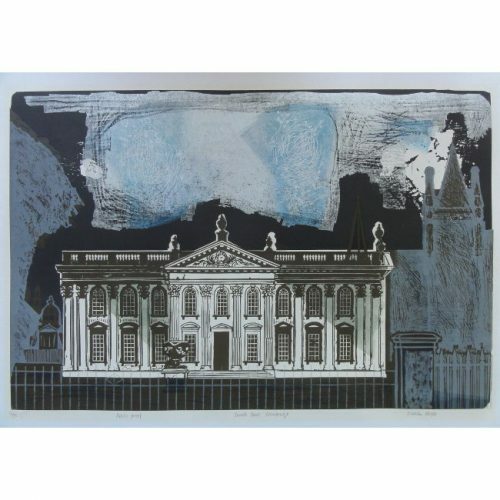 At the latter he was strongly influenced by Edward Bawden, one of Britain’s greatest linocut printers. 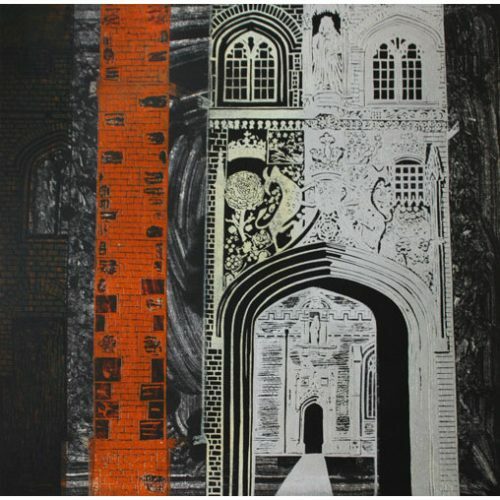 Bawden had been commissioned by the 1951 Festival of Britain to produce a mural for the South Bank, and chose Hoyle to assist on account of his great talent. Hoyle moved to Great Bardfield in Essex, becoming a part of the Great Bardfield group of artists of whom in the post war era probably Bawden and Kenneth Rowntree are the most famous. Diverse in style, they created figurative work – in stark contrast to the abstract work of the St Ives artists at the opposite end of the country. (If he had not died whilst on active service as a war artist, off Iceland in an air-sea rescue, Eric Ravilious would have had this accolade.) The Fry Art Gallery in Saffron Walden was established to celebrate the works of the Great Bardfield group.